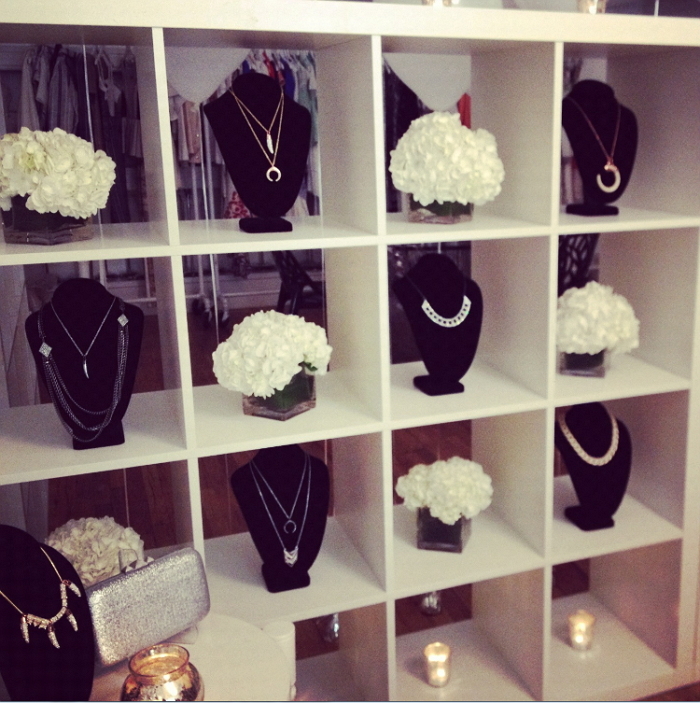 Last night we stopped by the Rebecca Minkoff showroom for celebratory cocktails over her jewelry launch and an exclusive preview of her 2012 Holiday line. We stuffed our faces with cupcakes, chatted with new friends and drooled over her latest pieces. I'm personally obsessed with the necklace in the top photo, and just might need to pick it up as a super early Christmas present to myself. AH! What a fabulous peak at some jewelry treats!!! I cannot wait to get my paws on RM sparkle!! I love the fourth necklace! That early Christmas present sounds like a good idea! 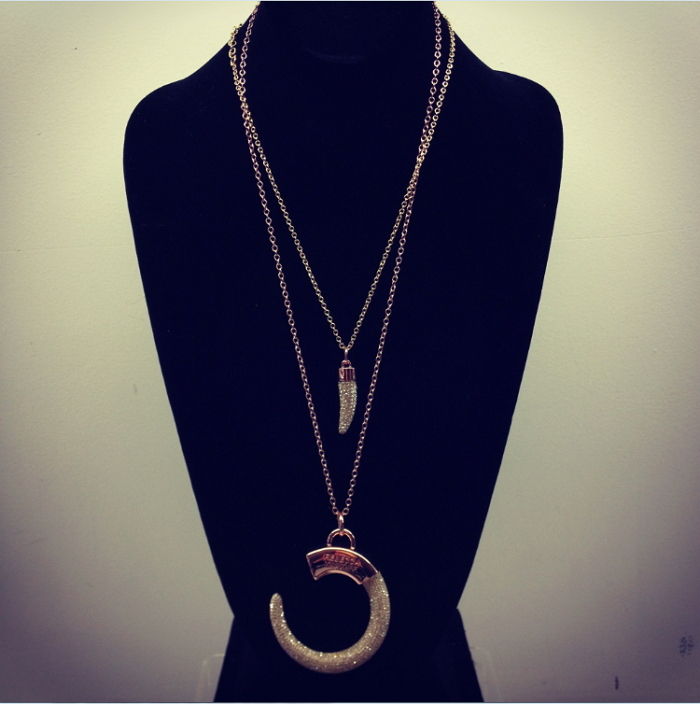 Wow, every necklace looks fab! 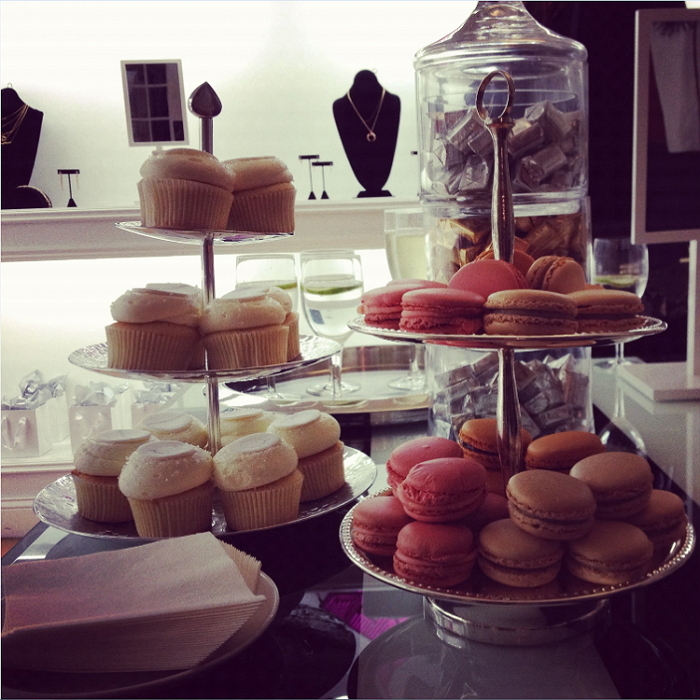 Not sure which I prefer, the jewelry or the desserts (my two faves)! I love the small double horn pendant. Really cute. That's awesome! Glad you had fun in SF... You should stop by again soon! Thank you so much for visiting me but i'm unable to find you yet in my list :( Could you try and let me know ? It looks like a very nice store !!! Ahhh I definitely don't need to do anymore holiday shopping! >:] Thank you for sharing! I love all the pieces...and okay, mostly the picture of the sweets. Totally drooling at all the deliciousness.